Welcome (Back) To The Band! It’s been a spell, I know, and it’s primarily my fault. Let me explain: when I became homeless after getting sober, I had no money. I had LESS than no money after all the medical bills added up together. When that happened, I had to let go of most of my sites – unlike other sites, The Band was built on Django, and required about 30 bucks a month. Sounds pretty measly, I know, and if you can believe it, that cost was FAR less than the previous server which was 90 bucks a month – I’d been paying for it for several years out of my own pocket and I didn’t and don’t care. My server guy paid for the site for an additional three months, and then, not hearing from me, he closed it. As I healed from addiction and worked my recovery, I knew that I wanted to get The Band, whelp, Back Together. Unfortunately, with no backups of the site, it’s an enormous task. Some of our volunteers (click to join), including myself, have been tirelessly working to get the site back to its previous life. It’s quite tedious, actually: we are copying and pasting the old data from the Wayback Machine. This would be why you see my name on a great number of comments and posts – I didn’t write all the comments and I certainly didn’t write all the posts. The user data from the old site is gone, so each post is anonymous. I’m sorry about that, but trying to replicate that data would be an unnecessarily challenging event, as I don’t even have a list of emails for the old site. When you’re ready to share your stories, you will have to make a new login (http://bandbacktogether.com/login) and here is a page about HOW to use Band Back Together. The site, I’m aware, is a bit funky looking right now, but that’s just because we’re trying our best to get the site as user-friendly as possible. Resource pages, like posts, must be recreated for the site, and as many of the pages were written ages ago, need to be rewritten and audited. I think I’ve done around 90, but there are HUNDREDS more to go. Here’s the master Resource Page, which may be a bit challenging to use at the moment, but will be easily accessible…eventually. We have hotlines as well, tho they must be tested as they are also old. If you’re new around here, welcome. If you have no idea what we are, let me make this plain. 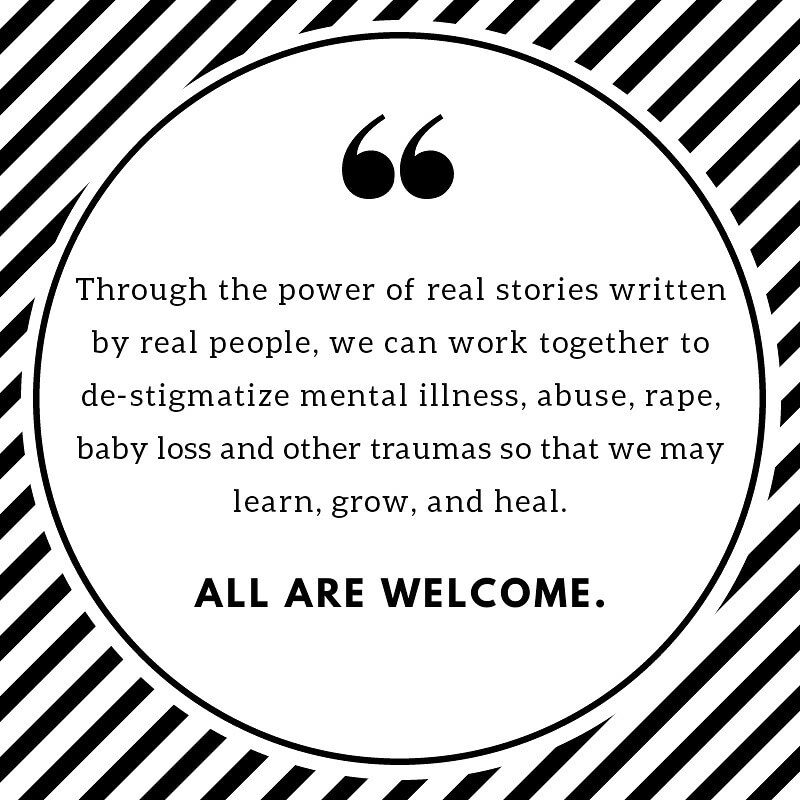 The Band Back Together Project is a group weblog and nonprofit* organization that provides educational resources as well as a safe, moderated, supportive environment to share stories of survival. When I say all, we do mean all, people are are welcome. We’re not a narrowly focused site, rather accept all stories – happy and sad. About love and loss, life and death, illness and health, mental illness, and addiction. If you’re story doesn’t fit into a boxed category, know that we will make the category for you. September is A Letter I Can’t Send month, and October is Loss month. This doesn’t mean we’ll only publish these types of stories or these particularly stories will only occur once a year. We are always open and we are always accepting submissions – no matter the topic. I cannot wait to see what stories you are going to share! *another thing lost to homelessness is our 501c3 status. We are working to build a board and achieve our 501c3 again. However we do operate not for profits – every cent goes back into the site and promotional material.